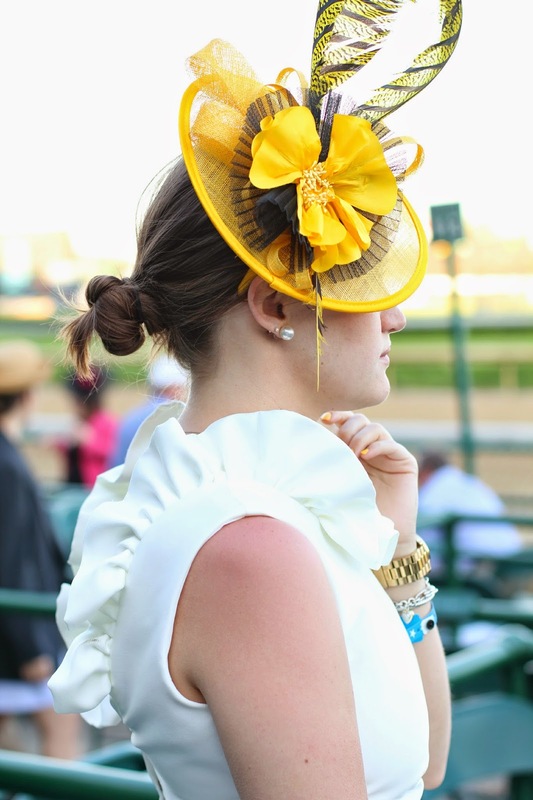 So excited to share my Derby outfit today! 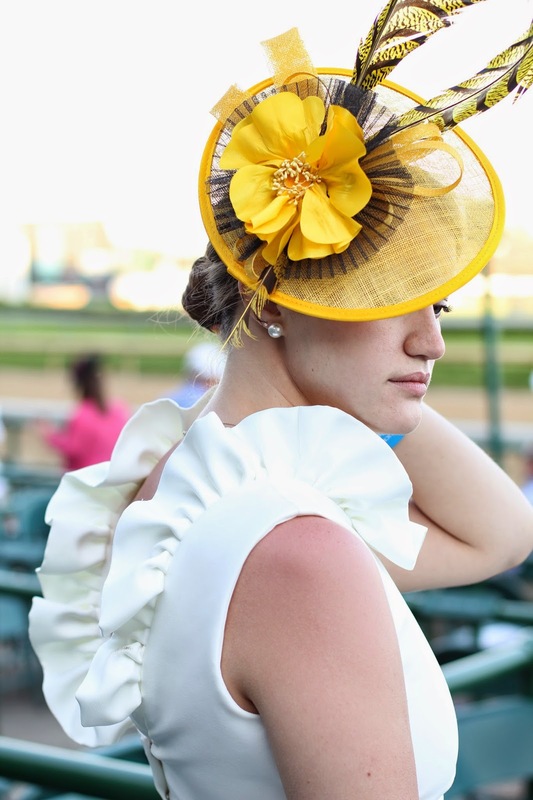 Going to school in Kentucky, I always dreamt about going to Derby and one year I did, but it was only the infield. Which, in all respect, is compared to a dirty football tailgate. It's nothing like the idea of "Derby" that everyone has. Since that experience, I promised myself I would only go back if I had seats. One year out of college, I found myself back in The Bluegrass State for the 140th Kentucky Derby. I was over the moon and couldn't wait to plan what I was going to wear. I've been really into white dresses lately and once I spotted this Camilyn Beth dress, I knew I couldn't go back. I bought it and LOVED it. It was perfect for what I was looking for: simple, crisp, and classic with a little twist of something fun. After I got the dress down. I could start figuring out my hat and shoes. Since the collar of this dress stands up, I knew my hat and hair couldn't get in the way. Hair in a bun, easy. Hat, not as easy. I didn't want to take away from this awesome dress with an oversized hat. It would just be too much. So I flipped on my Kate Middleton switch and turned to a fascinator. For those who don't know the difference, the fascinator is a large head piece that is on a headband or clip. 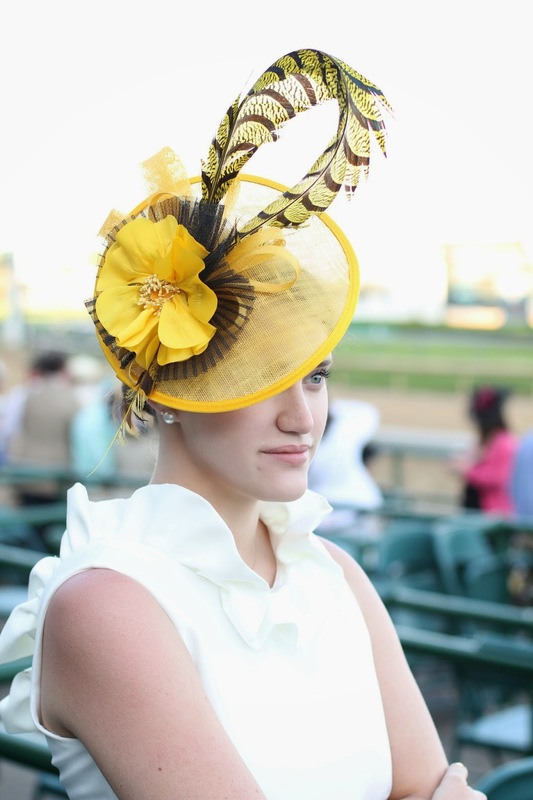 I fell in l-o-v-e with this yellow HEADCANDI fascinator. 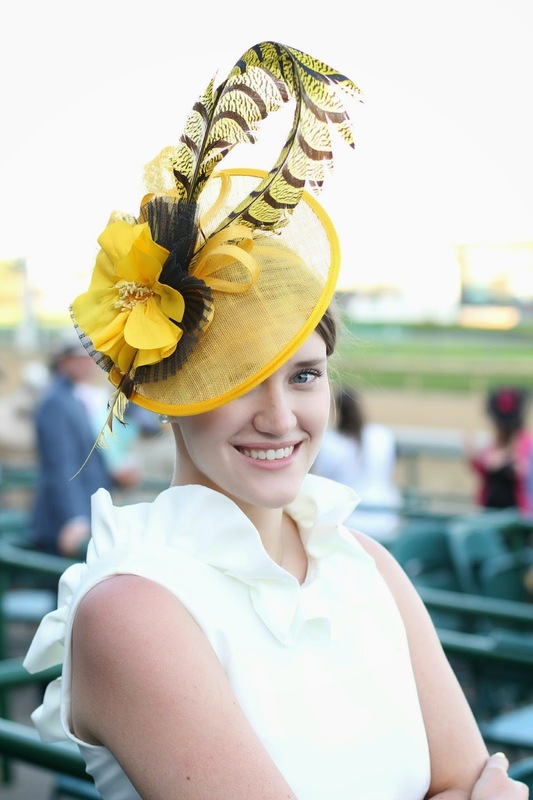 Since I had a white dress, I found it easy to pair a yellow head piece for my outfit. Done and done. I also knew I would be walking around and standing a lot during my day. I don't know how people do it, but heels in that condition don't work for me, but wedges do. So I found these Kate Spade Jumper Wedges on sale and thought they were perfect. I also knew they'd be perfect for the summer. Plus, I can never say no to a bow! This whole outfit is perfect! I am in love with the fascinator! These photos are FLAWLESS! What a beauty! You look gorgeous! I love every single piece of your outfit! love the dress and the fascinator! perfect for the derby!